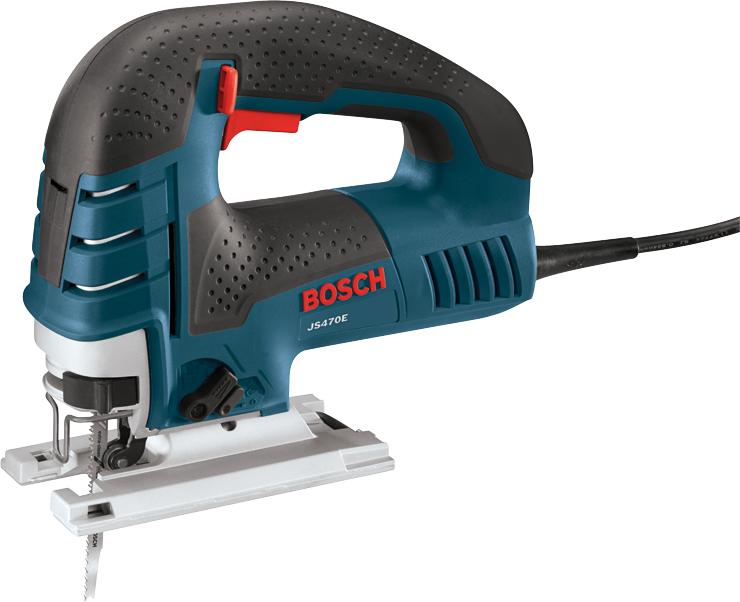 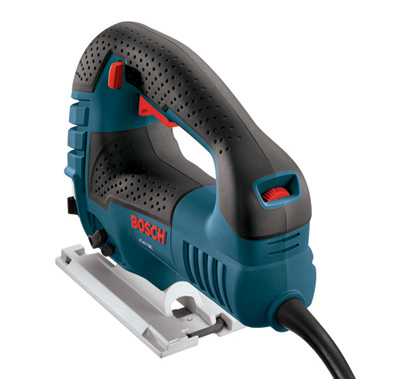 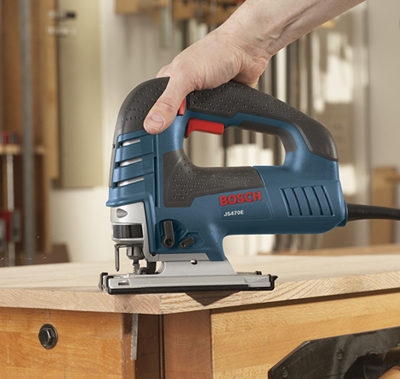 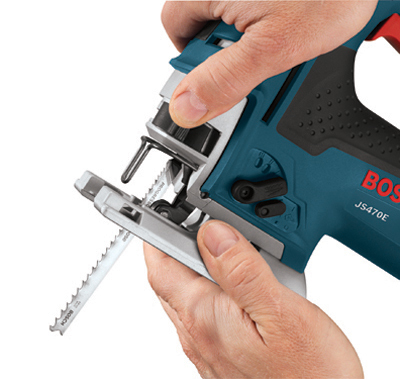 The Bosch JS470E Top-Handle Jig Saw provides unsurpassed cut precision. 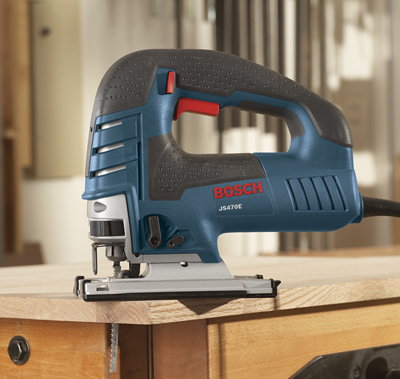 Finish carpenters and kitchen and bath installers will appreciate the best-in-class 7.0 Amp motor and variable-speed control, making this saw an excellent choice for curve-cutting. 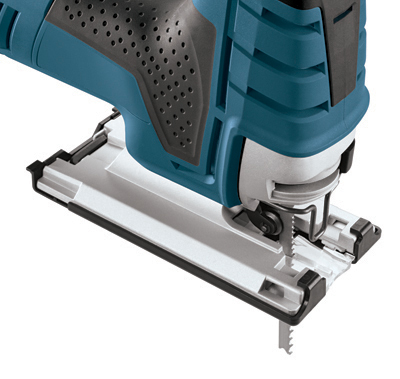 A dial on the back of the tool controls the maximum speed and the accelerator trigger controls the operating speed. 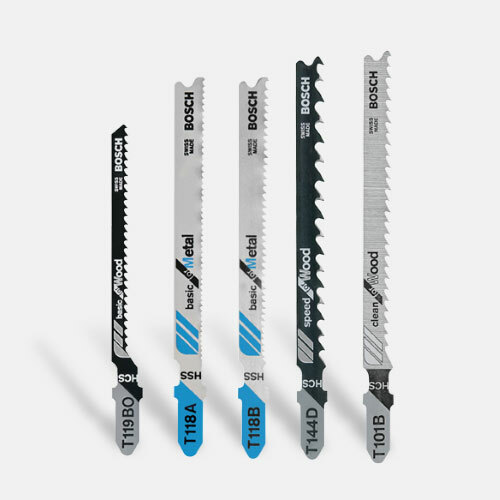 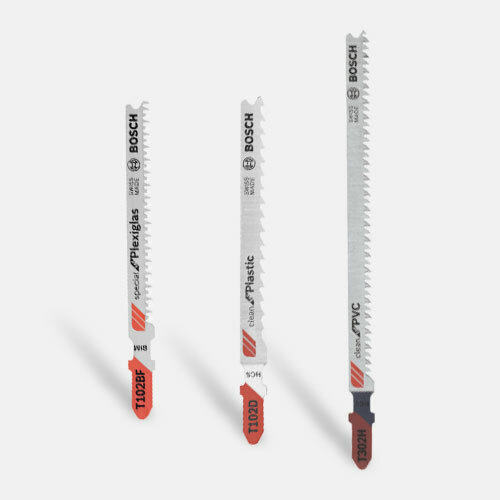 Built with an aluminum gearbox and an insulated cover, this jig saw comes with a low-vibration plunging design and Constant Response circuitry for consistent speed under load. 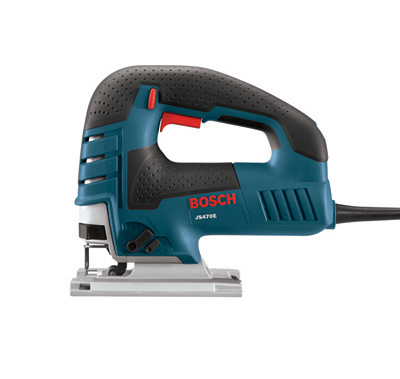 It has a large die-cast aluminum footplate. 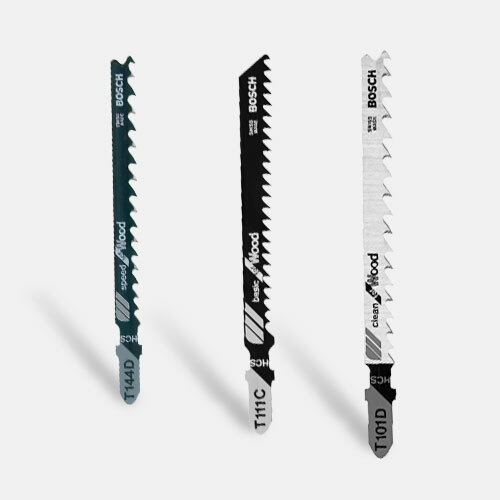 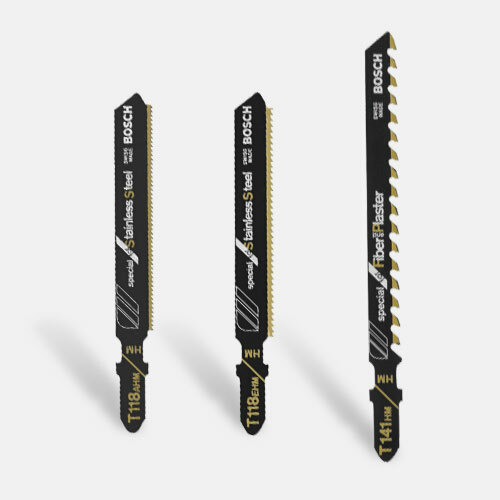 The JS470E's multidirectional blade clamp delivers superior grip of T-shank blades (but it does not accept U-shank blades). 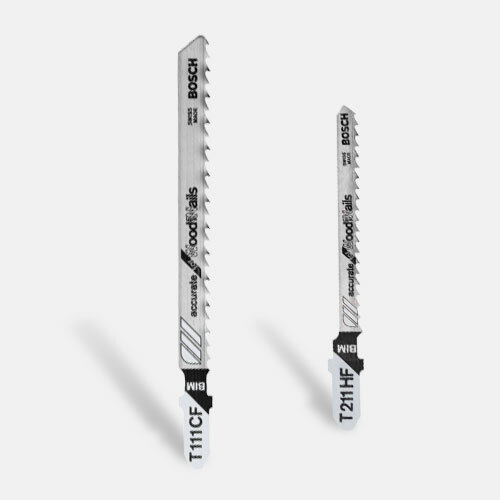 The blade-ejection lever that eliminates need to touch hot blades. 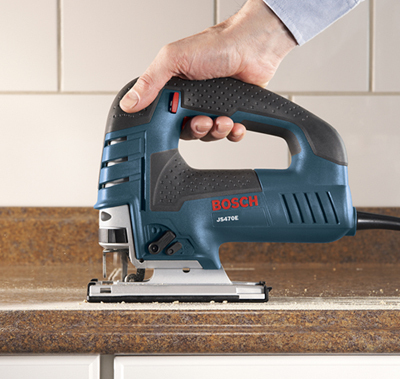 It has a dust blower for max cut-line visibility. 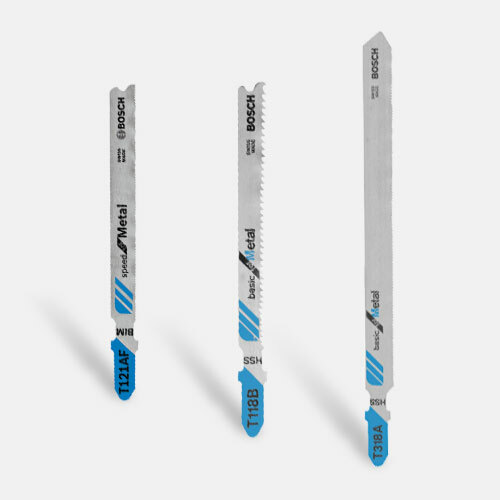 Cutting Capacity- Soft Wood 5-7/8"